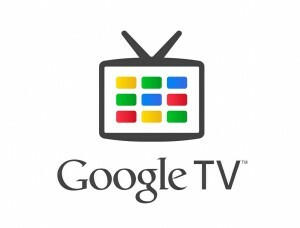 Google is working on a Nexus TV set-top box and preparing its release of the first half of 2014. An unnamed source from Google has leaked to The Information (subscription required) the news about this new Google product. There aren’t many details about its characteristics, the report only describe it as an Android powered device which will play games and display web broadcast on your TV, controlled by a remote with a built-in touchpad. This is not the first attempt for Google to jump to TV. The first try, Google TV, was one of the major failures of the company. GigaOM reported in October the quiet movements of the company to abandon Google TV brand. Both Google and its hardware partners were not using Google TV brand, and they started talking about Google services for TV or Android TV. One of the main advantages of all these new devices compared to the Google TV is the use of recent versions of Android. Google TV was stuck on Honeycomb, which made difficult for developers to adapt their apps to the old Android version. Since that experience, Google strategy changed completely when launching Chromecast, a streaming adapter that integrates with smartphone apps. It supports not only selected content through Chrome browser but also Netflix, YouTube, Hulu Plus, and Google Play Movies and Music mobile applications. This small device is sold for $35 on the Play Store and on Amazon, where it has been one of the best-selling consumer-electronics gadgets since its launch. So, it seems that a Nexus TV would solve all these problems. The developers will have a device with a recent Android version which can be used to optimize their apps for the TV screen, not caring about the customization present on devices distributed by other manufacturers. Source: The information (subscription required).